If you find yourself needing roofing questions answered, don’t hesitate to speak with a roofing professional today. Our contractors at Legends Roofing can help you with insurance claims, common insurance policy questions, roof replacement information and more. Find answers to common questions about residential roofing in Dallas, TX here. Call 214-321-3293 now to receive professional assistance with roofing matters. Contact a roofer with Legends Roofing to get answers to all your questions today. What Should I Do After a Hail Storm? Get in touch with your local roofing experts before you file an official claim with your insurance policy. Legends Roofing offers free estimates and will personally walk through the claims process with your insurance adjuster. We use the same software and policies the insurance companies use so that our assessments of damages match up. This ensures adjusters won’t miss any key repairs in the claim. An Adjuster totaled my roof. Now what? Take your estimate to a professional roofer for a second look. A contractor at Legends Roofing can double check important details like pricing of supplies and accuracy of measurements. Adjusters might not use the correct tools for measurements and may also miscalculate the cost of supplies. We’ll make sure the pricing is right so you don’t fall short on your check for roof repairs. My home is old and my roof has layers of different roofing materials. What should I do? Most insurance companies rule that all layers of roofing need to be removed to avoid fire hazards or complications due to extra roof weight. If you’re looking for a roof restoration or roof replacement, please contact Legends Roofing today. What’s a master shingle applicator? An MSA is a roofing contractor or roofing company which has been certified to by the Certainteed Corporation. MSA’s have to pass a series of tests to assure home and business owners that they are qualified to do the job safely and correctly every time. How can a roof with a new deck give me radiant barrier protection as well as a tax credit? 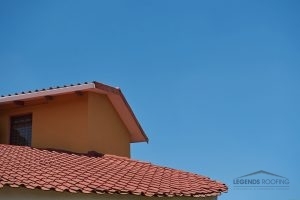 Legends Roofing provides a premium roofing services for residential and commercial customers. Up until December 31st, 2016, homeowners were eligible to receive a tax credit for installing energy efficient components on their roofing systems. This tax credit is no longer available but a radiant barrier is still an environmentally sound roofing option and can still save you money on your energy bill. How can I extend my roof warranty twenty years? Warranties can be extended up to 20 years as long as the insured uses MSA certified roofers. 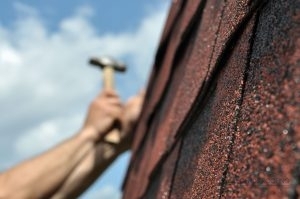 For the warranty to cover labor and cost, the roofer can use only the specified product for repairs. Is there a statute of limitations on filing a claim? Most insurance companies give building owners one full year to file a claim after the damage has occurred. We recommend filing claims as soon as possible to avoid trouble with the statute of limitations. Why has my insurance denied my storm damage claim while my neighbors are getting a new roof? Timing and experience are key when going through the claims process. Adjusters may not be able to accurately evaluate roof damage, especially if too much or even too little time has passed. To avoid problems like these, let the insurance claims experts at Legends Roofing handle the claims process for you. Because of our experience, you’ll have every opportunity to get your claim approved. Updated on August 4, 2017 at 1:59 pm by Legends Roofing.